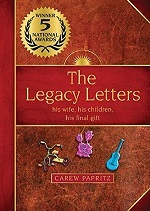 Carew Papritz--Bestselling Author of 5-Time Award-Winning Book! He is still determined to be a Renaissance Man in an age that lauds the specialist. The Huffington Post says Carew "intrigues and enlightens, charms and catalyzes change for every reader."